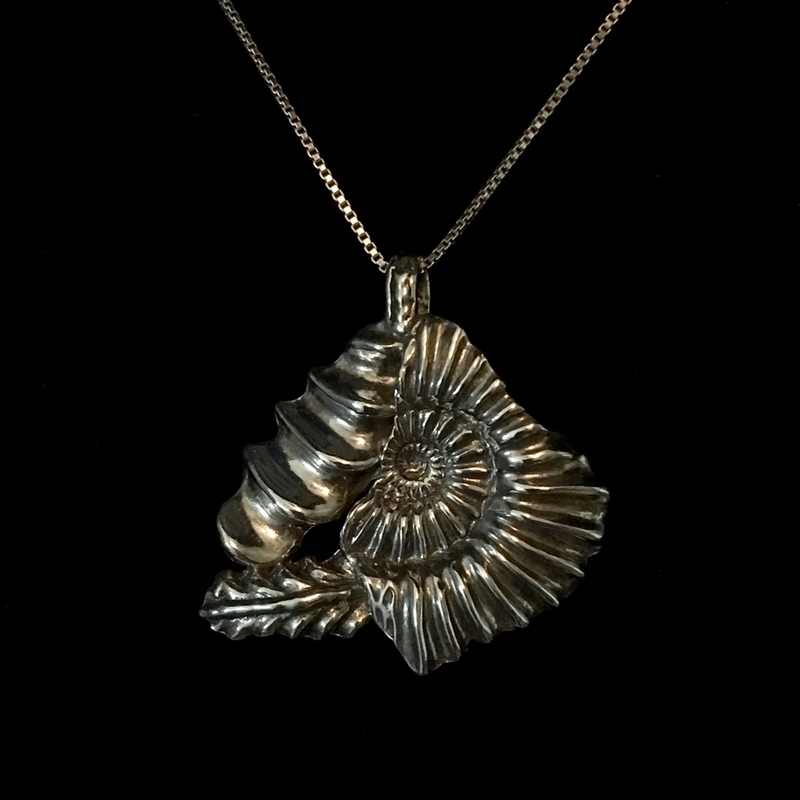 Ammonite fossil collage of .999 fine silver. It measures 1 1/2 inch in length and is 13 grams of silver. Comes with 20 or 22 inch box chain.